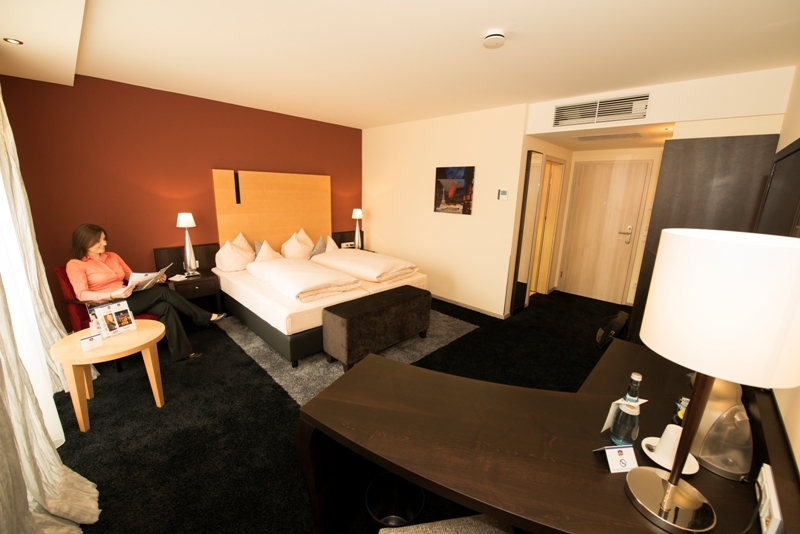 The modern studios are air-conditioned and tastefully furnished with contemporary high-quality furniture. 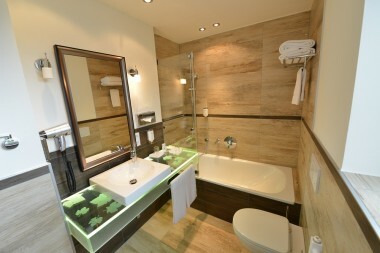 The bathroom is equipped with shower or bathtub, WC, vanity mirror and a 1600 W hairdryer. A special eye catcher is the illuminated extravagant glass washstand. The spacious studios are equipped with cordless phone, safe, electrical shutters, free Wi-Fi and Nescafé Dolce Gusto coffee machines. Our 37-inch flat-screen TVs offer free SKY TV with movies, soccer and documentaries in best quality and it also offers an alarm clock function. Upon arrival our guests receive a complimentary bottle of water!